Do insects or rodents in and around your property freak you out? They do, then the next question, “What is the best exterminator near me?” is an important one. 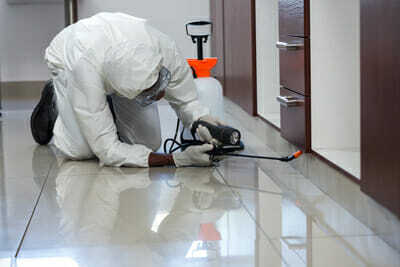 You can find many online pest control services when adding your search on different search engines online. The important thing is to choose the right one. The truth is it does not have to be a difficult decision. Yes, you are concerned about the dangerous chemicals used, and the fact is you can find one that takes care of pests in an Eco-friendly way without causing any harm to the family. Therefore, what is the next step, here are some do’s and don’ts you can follow. When contacting a professional pest control service ask them what kind of insurance they offer. When it comes to termites, this is very important. The reason is that not all homeowners insurance covers termite extermination or repairs. You need to find a reputable company that installs a baiting system and treats the outside to prevent further infestations. The biggest problem is that you do not get a warranty with every damage clause so best to read the contract before signing. Understand what the damage clause covers. If you are not able to afford a warranty program, you need to do a termite inspection once a year. The next step is to choose a pest control company that meets your states licensing requirements. The license can vary from one country to another and have stricter rules. Hire an exterminator with experience to take care of your specific bug and rodent needs. Inquire if they have previously handled the type of infestation and if you could chat with a client that had the same problem. By doing this, you can learn how the company dealt with the problem. If you need reassurance, you are using the right pest control ask them how they would handle the problem. Find out if they use chemicals, baits, traps and more. Let them present you with a pest control plan in writing to compare with other companies you consider using. You can find pest control services dealing with only specific extermination such as termites, bed bugs, and more. Read the agreement and make sure to identify with it. Make sure the contract covers the service you need and best to work with a business that provides you with a written agreement than a verbal one. If you feel uncomfortable in any way with a company’s representative, then it is best to find another company. You need to connect with the person, as they will be visiting your home regularly. Communications essential and trust your gut feeling. Never take the person word if they tell you they are licensed. Do your research and ask them to look at their license numbers. Verify the license with the secretary of state or any other organization. Does the certification or license expire? Are there a certain number of hours needed for the certificates provided? What does the contractor need to do to keep the certification and license maintained? What are the procedures related to applying for a certification or license – or do they only need to pay a fee? If a pest control service is rushing, you to sign the contract stop and think. The possibility is they could be an unreliable service only trying to get your money without providing a service. Your local pest control company to use will provide you with relevant information and assistance needed to combat the problem. Following these steps set out here, you can hire a trustworthy exterminating company to keep your home protected to sleep peacefully at night. For a Free First Time Spray and Pest Control Needs Analysis! © 2018 Ranger Pest Control. All rights reserved.